Based on this research, Penn State Hershey has been selected by the National Cancer Institute to form a collaboration to test this nanotechnology delivery system. Now that the initial characterization step with nanovesicles is complete, dramatic data are available showing the success of the system in destroying brain tumors in mice, and toxicology assays are underway. Penn State Hershey plans to begin Phase I human clinical trials later this year. 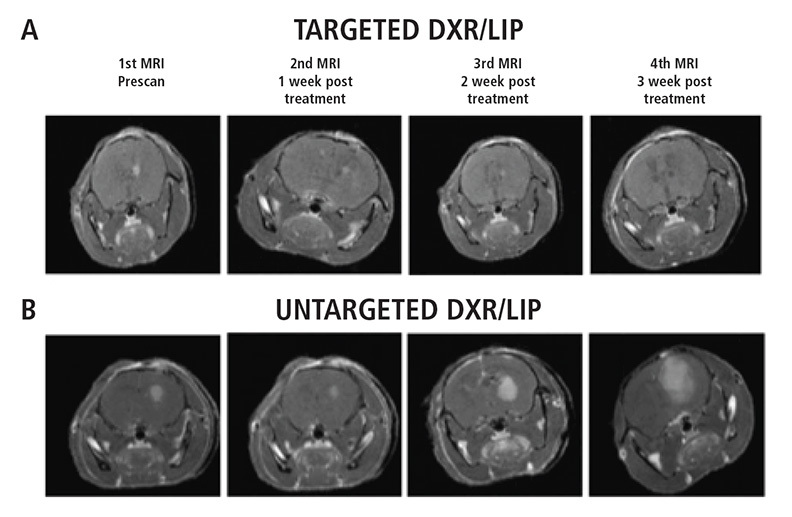 Madhankumar AB, Slagle-Webb B, Wang X, Yang QX, Antonetti DA, Miller PA, Sheehan JM, and Connor JR. Efficacy of interleukin-13 receptor–targeted liposomal doxorubicin in the intracranial brain tumor model. Mol Cancer Ther 2009;8(3),648-654.